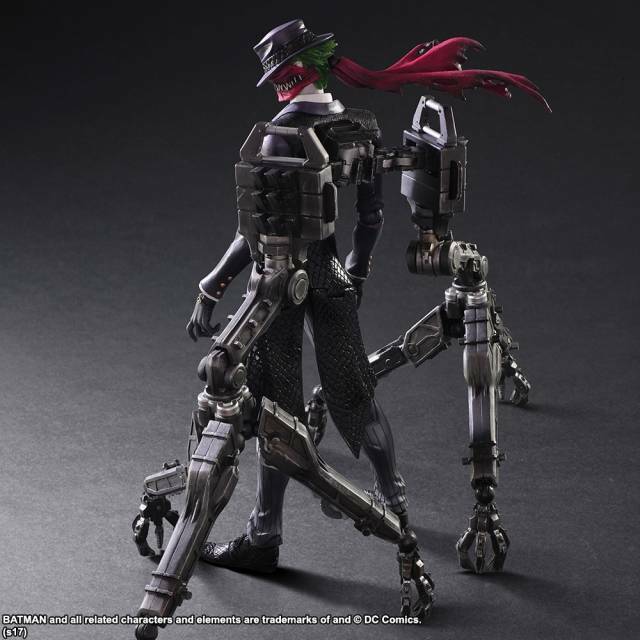 From Square Enix. 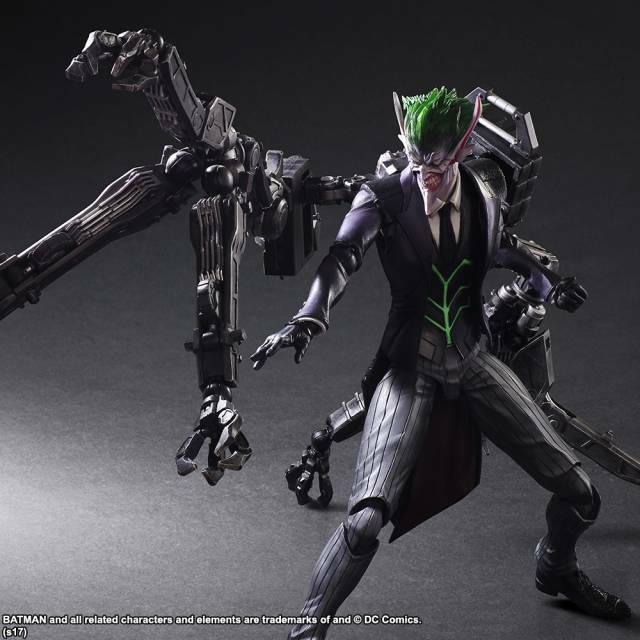 Kingdom Hearts character designer Tetsuya Nomura takes on Batman's number-one nemesis, the Joker, in this amazing new figure! 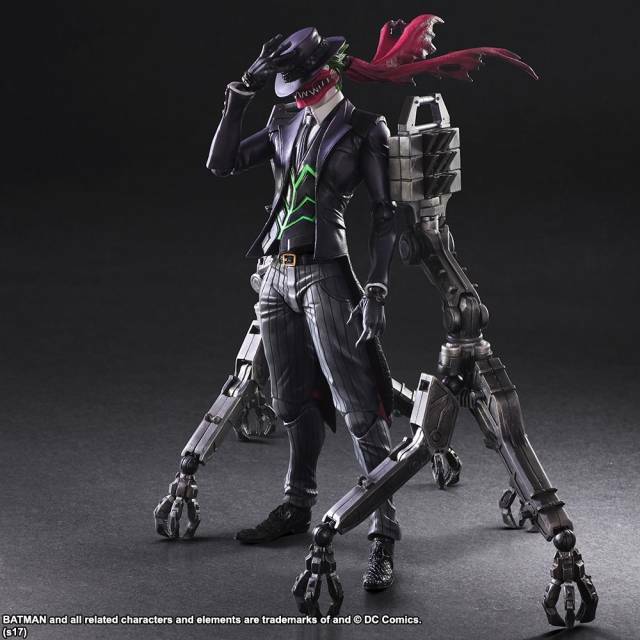 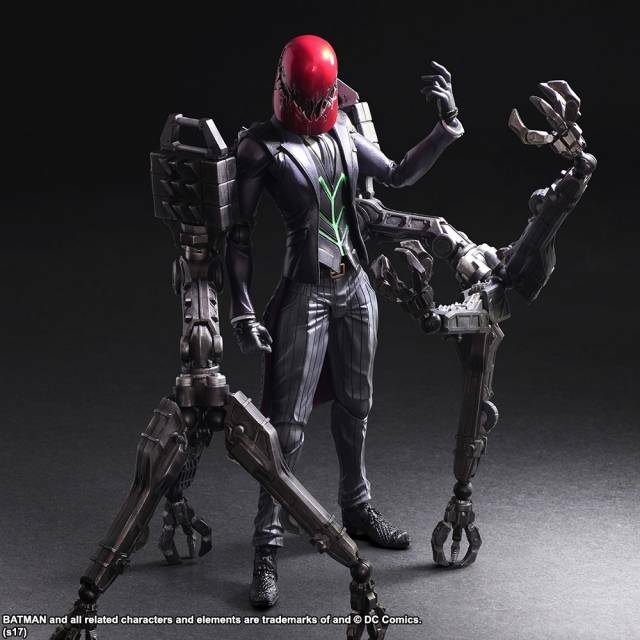 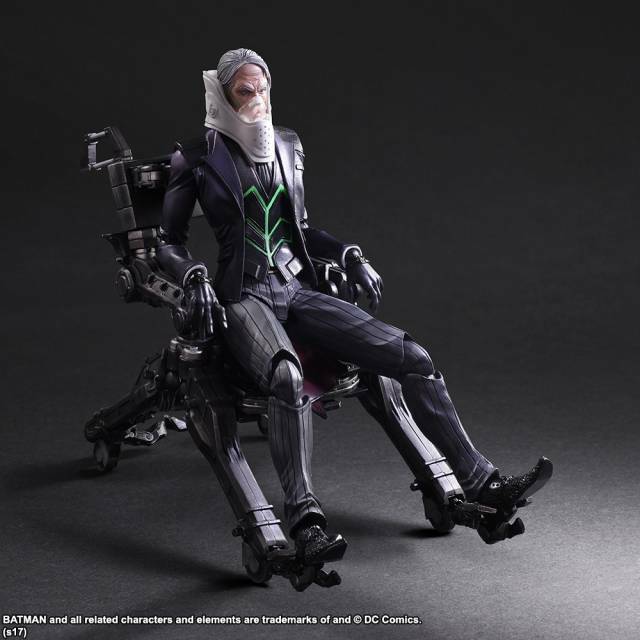 He comes with a transformable exoskeleton-wheelchair device with claw hands, and an incredible seven interchangeable heads are included to display the Joker in lots of different ways, including an ornate harlequin mask and a red hood, and extra hands! 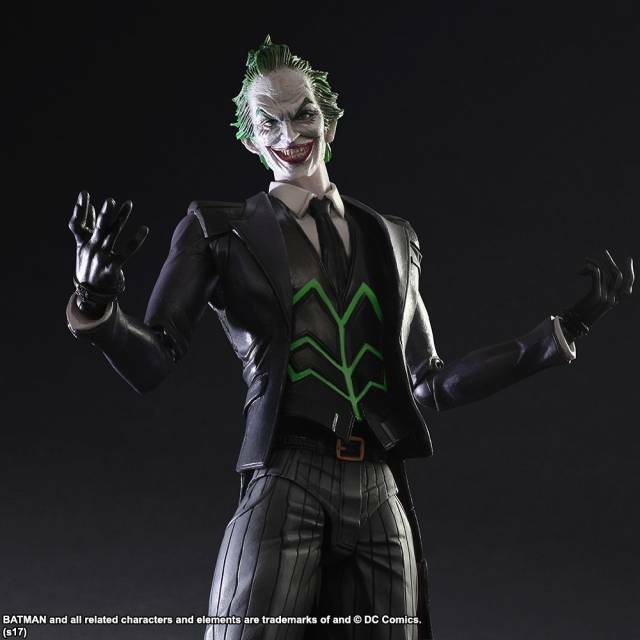 Add this unique take on an iconic character to your lineup today!